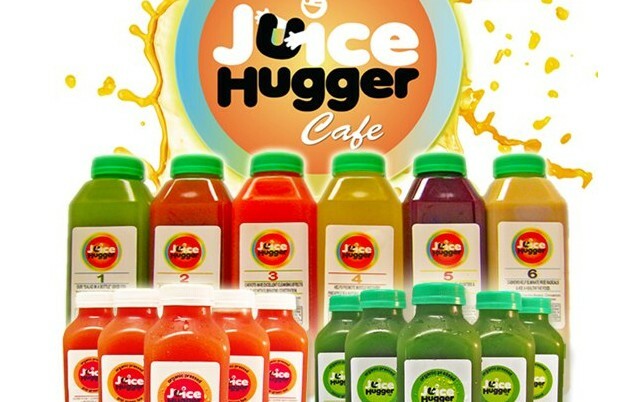 Juice Hugger is a premium juice company and healthy living lifestyle brand. We believe that getting your daily nutrients from the juice of fruits and vegetables is a fantastic way to achieve a more balanced body. Come to our Brooklyn cafe & choose from our line of in stock bottled deverages or you can order our products online or in store 24 hours in advance of pickup or delivery. We can make our juices with or without raw agave nectar. The choice is yours! We do not pasteurize, use preservaives or artificial flavors. We also do not use sugar or high fructose syrup. Our juices help foster a balanced alkaline body. Try one of our juice cleanses, incorporate our juices into your daily nutrition plan or come in to try out our organic meals, raw food snacks, soups, salads & more! Give your insides a hug. Your body will thank you!